What does it mean to be fashionable? Today I would like to talk about fashion. Every day we hear such expressions as: fashionable haircut, fashionable clothes, fashionable hobby, etc. But few people asked themselves what the word “fashion” means. What is this definition as a whole? If it’s for purity, then in fact “fashion” is what they prefer to stand out for today. And if you look into the development of this concept for many generations, you can safely define this expression as a combination of certain values ​​and tastes for a certain period. As a rule, the “fashion” concept is rather unstable, as in the modern world, tastes, customs, images change at the speed of light. And these are the main components of “fashion trends”. 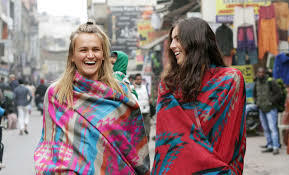 It is also worth remembering that in different countries, even in different cities, fashion can be absolutely different. This is understandable, it all depends on different national directions, in the case of countries, and on different interests of society (when we talk about cities). Therefore, do not be too surprised if you aligned your natural hair color (and the natural color is now in vogue), and having come to visit a friend in the neighboring city, found a huge number of girls in the street with a bright, colorful coloring. Fashion and its directions, as we have already noted, develops, changes every year, more precisely, each season is unique. But for this there must necessarily be some grounds. During the long-term observations and studies, experts identified 3 main factors influencing the development of fashion trends. One of them is the economic factor. That is, fashionable clothes and accessories to it are essentially goods. Therefore, the most “fashionable” and developing in this industry will be countries or cities with good economic indicators. After all, for fashionable things, and if they are still performed exclusively, there will be demand, and that there will be no repetitions, it is necessary to invent something new again, and thereby to develop the fashion. The second factor is psychological. Each person is individual, and if there is still an opportunity to emphasize this, then this can not be taken advantage of. And how best to distinguish your individuality and originality? Of course, first of all with the help of clothes, which helps to create personally your exquisite and unique style. And the third, very important factor, social. How does society influence the development of fashion? Recently, on the streets you can see quite a large number of people in the sports style of clothes. Of course, in the first place, this style is quite convenient and practical, but the sporting trend of fashion is directly related to the development of sports, and a person who enjoys sports should also lead a healthy lifestyle. As you can see, all the points in the end are links of one chain called “society”. What is fashion today? This is a fairly broad concept. But let’s try to highlight the main trends of fashion for today. Fashion creates our image visually. Today, everyone can choose their own individual fashion image. If you are a supporter of the natural image, then give preference to a strict classical style in calm tones. As for the appearance, the natural hair color, minimum make-up and you get a very gentle and feminine, and most importantly fashion image. But if you are a bright person and want to stand out in everything, then this summer’s bright colorful colors and haircuts will help you decide on the exact image that is necessary for you. As for clothes – the colors of bright and fashionable in this season you will also be very pleased. If you like bright yellow, red – orange, rich blue, green and purple colors – this is your summer! In choosing a tone for the face, give preference to naturally radiant shades. As for the decorative make-up – create! The palette of shadows of this season knows no bounds. In addition, all the favorite smoky eyes and arrows returned to fashion again. But remember that in any choice of your style, fashion is fashionable, but the main thing is not to overdo it! The same goes for choosing a lipstick. It can be as a barely noticeable natural lip gloss, and a juicy berry lipstick with a rich glossy shade, or classic pink mother of pearl. In the choice of style, also remember that everything should be in harmony with each other. And most importantly, do not forget which image and style you would not choose – the best and most fashionable is the health.